locomente...: Happy Onam - എല്ലാവര്‍ക്കും ഓണാശംസകള്‍! Happy Onam - എല്ലാവര്‍ക്കും ഓണാശംസകള്‍! 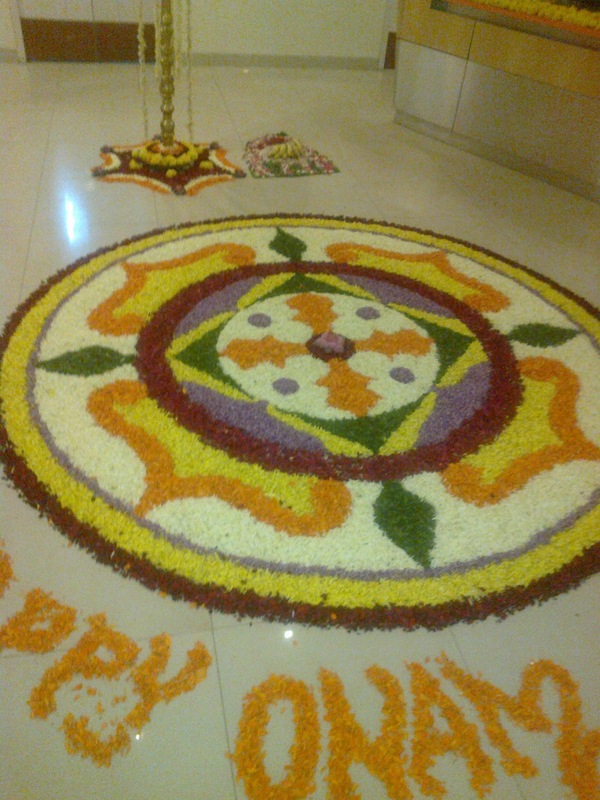 Onam always reminds me of how my mother and i would put large flower carpets in Bangalore… It used to be an eye candy for all…. I used to enjoy observing those envious stares! 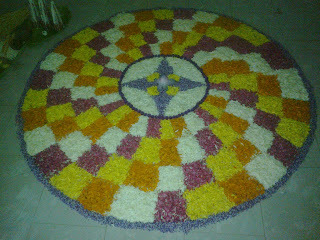 And I also remember that we made a similar large flower carpet in Kerala…. And within minutes, a bunch of goats came and ate all the flowers… That beautiful flower carpet was replaced by a mess of few flowers… stems and grass scattered here and there.. I was nine years old then and I decided that I will never put flower caret in my life!!! I cried endlessly. 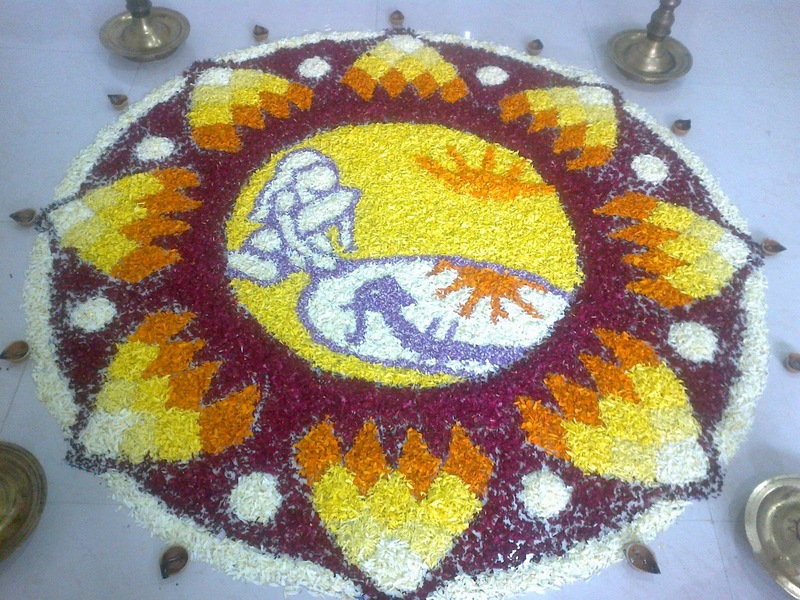 Recalling that incident now… I am smiling… Onam has always been such a fun!!! Have loads of fun and payasam indeed!!! Wink!!! My best and warmest Onam greetings to you and your family. 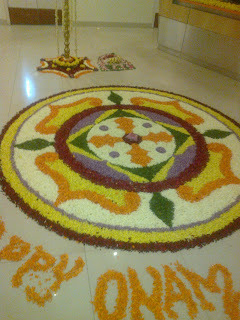 Bring prosperity and fulfillment to your Life..
And here I am wishing u Happy Onam in advance !